The shuttle buses start at 12:30 and run every 30 minutes (from both ends of the Kings Path) until 8:30 Pm. 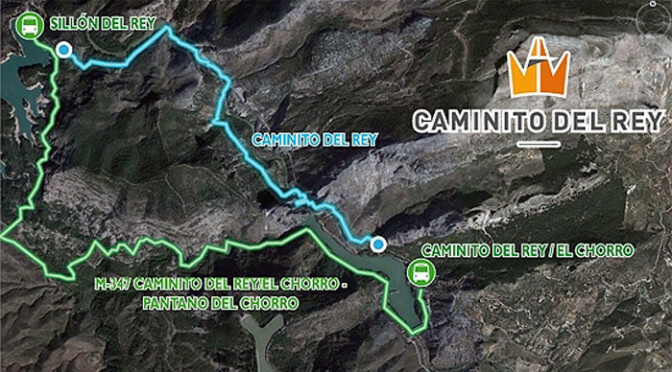 The buses run from Tuesday to Sunday as the Caminito del Rey is closed on Mondays. More information on how to get your entrance permit here. Hello, we are very happy, to get a ticket last minute for friday. For our navigation to the right entrance, please can you mail us the adress? On our ticket we only found accesso norte. thank you for your answer. I didn´t saw that we have to be at the checkpoint 30 minutes before we start. Our start time is 9.30 . We were so happy to get this tickets and now I hope that we are there right in time….